Today, my friend scrapped me (in Orkut) that his [Enter] key (or return key) is broken and it is not working. So he is unable to chat and whether I know of any alternatives. Hmm.. then I did some binging/googling, and this is what I was able to come up with. You can map the keys to something different. Many people like to remap the [Caps Lock] because when the type there is a tendency to accidently slam on it and type in all caps, which is very annoying (In MS Word, Excel etc, you can use [Shift]+[F3] for converting lovercase to upper case and vice-versa). Okay, coming back to the point. The best way to do this is using third party tools, which are freely available. Otherwise you’ll have to edit the registry, which is no fun thing at all! So, we’ll go the software way. 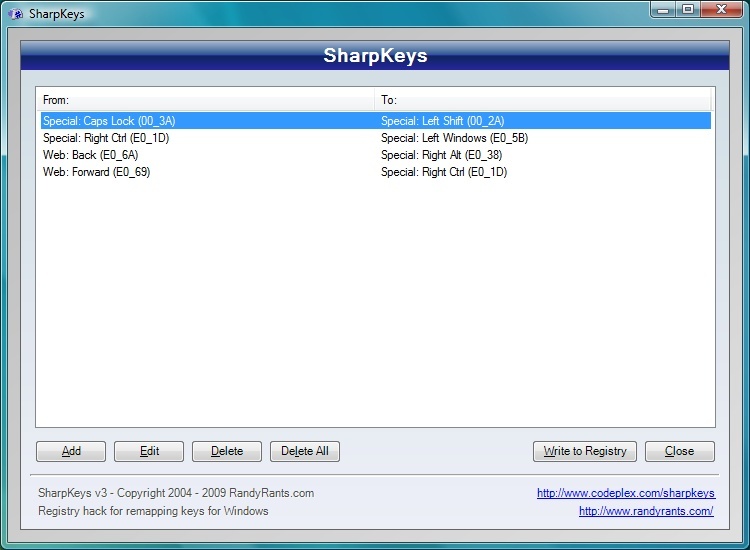 It is a free software to map one key to another on your keyboard. It is free, you need to have .NET runtime environment running to install it. Other simple thing you can do is to use the On-screen Keyboard(OSD) But this is not really an easy way to solve the problem. Say, as in my friends case you want to use it to replace the enter key, while chatting it is not really very helpful, is it? conversation. Usually it’s caused by the passion communicated in the post I browsed. And on this article Enter key not working: How to remap keyboard | Alien Eyes. I was actually excited enough to create a comment 😛 I do have a couple of questions for you if it’s okay. Keepp up the excellent works guys I’ve you guys to my own blogroll.